Please enquire about Business Opportunities. 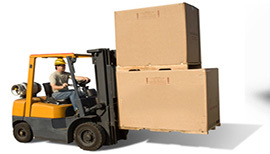 Freight Shipping and Receiving to or from anywhere! Pacific Mail & Parcel is a full service U.S. mailbox rental, shipping, receiving, and warehousing company. We provide Canadian businesses and individuals with a U.S. street address, and the ability to ship and receive mail, parcels, and palletized frieght shipments between themselves and anywhere in the United States without the added expense and trouble of international shipping or mailing. Receive mail at a U.S. Street Address with 24 hour access in our secure mailboxs. 24-hour parcel pick-up is also available. Receiving Packages is easy at Pacific Mail and Parcel. Call today to sign up. For just $9 per year, you get a U.S. street address for all your shipments. Short term and long term storage available. 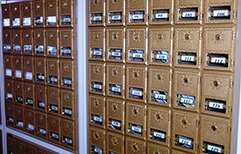 24-hour parcel pick up for mailbox customers. Let Pacific Mail & Parcel handle your Cross-dock shipments. If you have shipments needing to be consolidated or distributed, we can arrange the shipping, distribution, and consolidation of your goods.